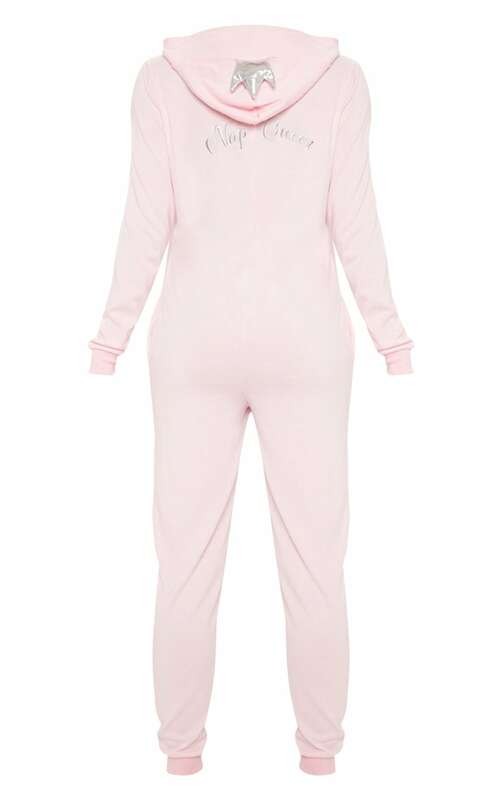 Be the real deal in this cosy onesie. Featuring a soft pink fabric, a zip fastening with a cuff hem design. Complete the look with slippers, ready for a perfect night's sleep.